Sitting as promised in my original Popke style, I proudly present to you Oakie the crochet armadillo. Wow, what a process this was. I never expected all the bumps on the road of designing this crochet armadillo pattern. In my previous post I explained about the challenge of making this interesting looking creature. Making an animal that would never, ever even think of sitting on its bottom, sit on its bottom was for starters a classical design issue. But the body armour was so utterly complicated to design that the sitting thing seemed nothing. I wrote about the smooth textured Linen stitch I was planning to use for the armour. When I started everything seemed so jolly well. What a perfect stitch for armadillo armour. But then some in- and decreasing had to be done and how on earth could I do that with this stitch? I googled for info and found nothing, who would have thought about that? People only seem to crochet scarfs and pillowcases with this stitch, not animals. So I had to find a way myself. After testing all sorts of solutions and almost writing a post here begging someone to help me, I found the solution to my problem. Decrease three stitches instead of two. How simple could it be. Not everything was rough on this road. From the start I knew how I was going to design the arms. The legs and feet just fell into place when I made them and the tail looks fabulous because it is worked flat. I really like the almost reptile looking appearance of Oakie’s face. The smaller eyes, unworked back loops and chain stitches form a perfect whole to create that characteristic armour texture. The rugged Lopi yarn accentuates it even more. Oakie might be unable to roll himself into a ball, but you can easily imaging him to do so. Just look at him! 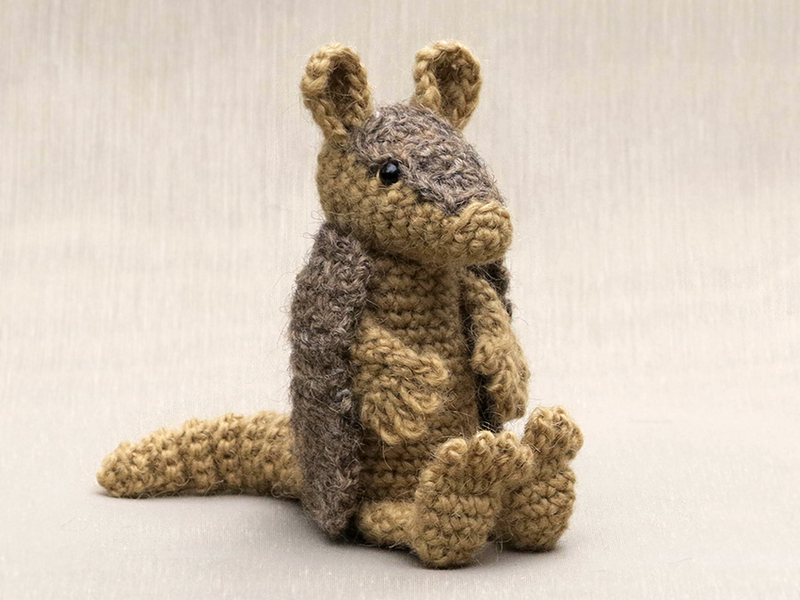 This armadillo is the most special creature I have ever made a crochet pattern for. Below the pictures you can find info about this armadillo amigurumi and the links to buy the pattern. 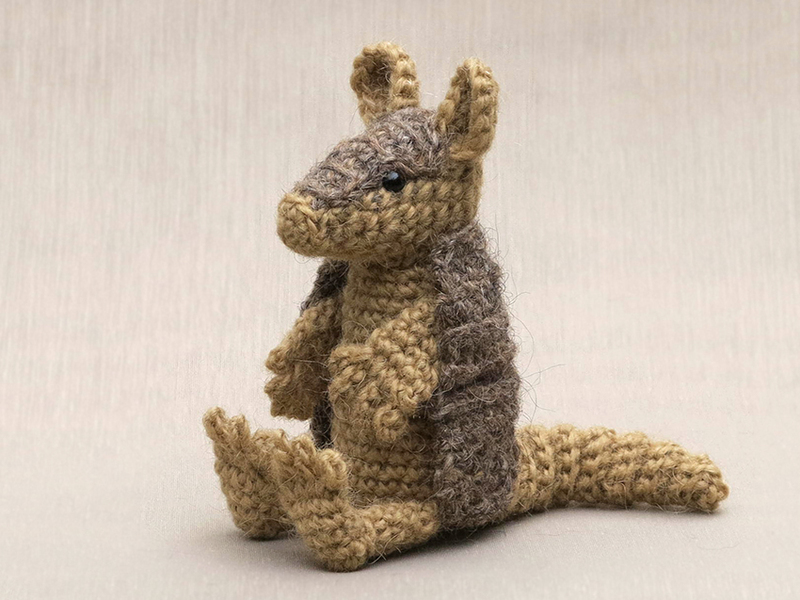 This very rugged but cuddly crochet armadillo is made with Istex Lett Lopi, a worsted weight wool. He is 14 cm / 5.5 inch when sitting. All the additional information you need to know about this pattern you can find in the shop listings. You can buy this pattern in my shop at Craftsy and in my shop at Ravelry or order it here. 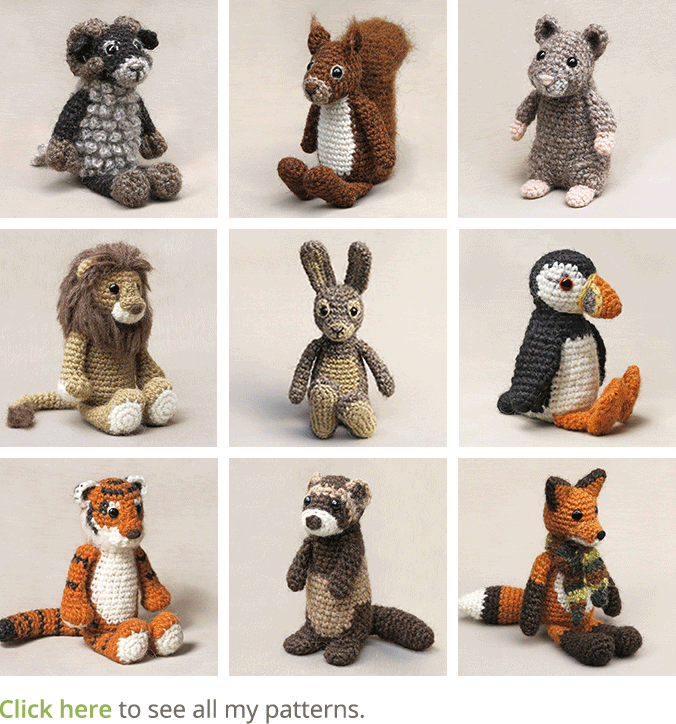 It contains a clear and colour coded description of how to crochet and assemble the armadillo with extra illustrations and example pictures at the bottom to help you get everything right. In the pattern you can also find what materials you need, the yarn colour numbers, in short, everything you need to know to make your own ancient looking friend. 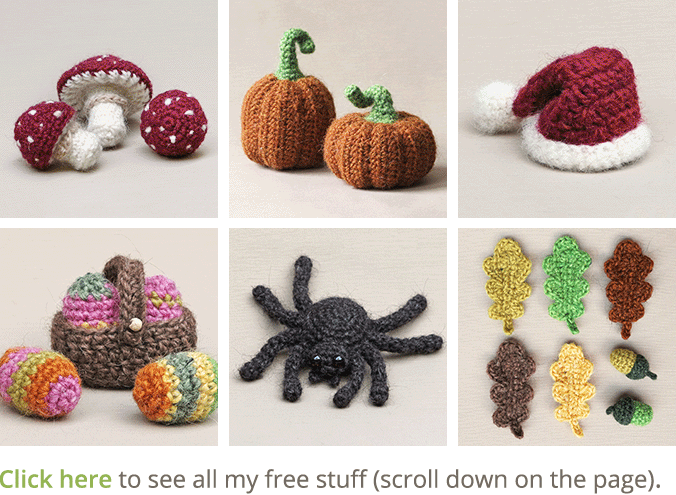 And heads up, this pattern has a one dollar release discount till Wednesday the 28th. Wow! Your little armadillo is amazing (and I love his name!). You have really captured the essence of the armadillo, while keeping him cute and adorable. 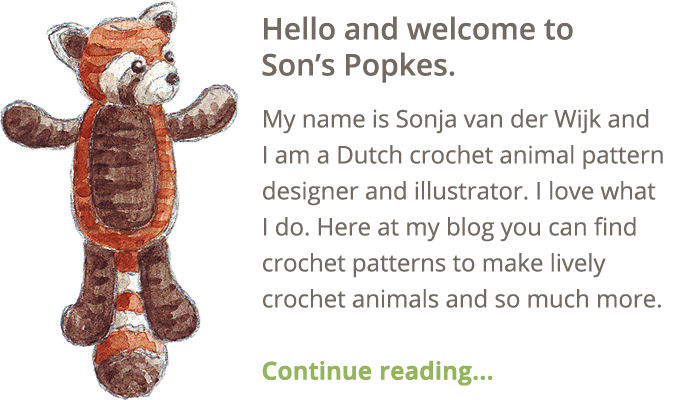 I am off to buy the pattern, but won’t be able to start my own little Popke armadillo until the New Year – something to look forward too, though! That is so sweet! He looks wonderful!